About ten years ago, Western research figured out that green tea was a nutritional powerhouse. After all, in Asian countries where green tea is consumed throughout the day, cancer rates tend to be much lower, although there are probably other factors contributing to that fact, like less processed food and red meat in the standard Asian diet. Turns out that green tea is one of the best sources of polyphenols, or plant-based antioxidants, which have disease-fighting properties and can halt the degenerative process in cells. In addition, studies show that drinking green tea (and to a lesser extent, oolong and black tea) regularly not only correlates to reduced risks of certain kinds of cancer, it can help mitigate high cholesterol levels, high blood pressure, IBS, and many other ailments. Some researchers think it might also be useful for staving off wrinkles and helping with weight loss. Exactly How Much Green Tea Should You Drink? The standard recommendation is 2 to 3 cups a day to get about 240 to 320 mg of polyphenols. Keep in mind that sweetened and pre-made green tea have far less nutritional value. Plus, you don't know if they're using high-quality tea to make a pre-brewed bottle. The best way to make sure you're getting the most out of your green tea is to make it yourself. Also keep in mind that green tea does contain caffeine, although in much smaller amounts than your basic cup of drip coffee (about 24 to 40 mg compared to 90 to 200 mg in coffee, according to the Mayo Clinic. If you're caffeine-sensitive, you might be better off sticking to a good decaf green tea, although this type is not quite as beneficial since it has to undergo the decaffeinating process. 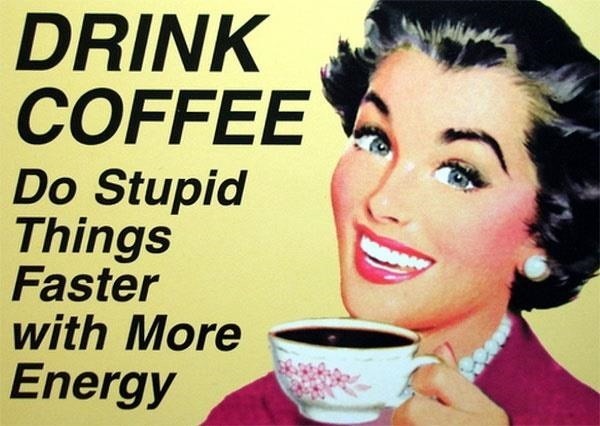 However, you'll still get some health benefits and you won't get jittery. You can also buy green tea extract if you don't like drinking tea, but in my opinion, people who do that are missing out. The brewing and drinking of green tea is a beautiful and calming ritual. Plus, leftover green tea and tea leaves have literally dozens of other uses around the house and on your body. If you don't learn how to brew green tea properly, it can taste too bitter and tannic, which is why some people add sugar or skip it altogether. A good cup of green tea should taste subtle and complex, yet mellow and smooth. It will have some some sweet notes like hay or grass as well as a slight touch of astringency for contrast. Let's start our healthy exploration into green tea by mastering the perfectly brewed cup before seeing what else it's good for. 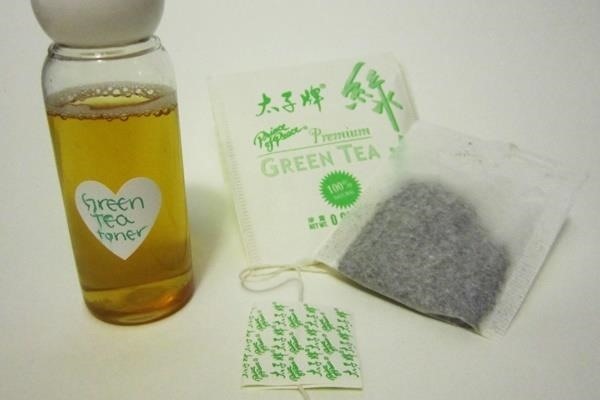 An opened package of green tea has a shelf life of about 3 months. If it's been sitting on your shelf for more than six months, it will taste stale or sharp, even if it's unopened. The good news is, you can save those leaves and use them in various ways around the house, so they won't go to waste (you'll learn how later on in this article). Green tea gives off more of its delicate flavor when it has room to unfurl and expand in the water. If dealing with loose tea leaves is too much of a hassle, you can buy a teapot that has a built-in strainer or use your French press. If you buy tea in bags, get a high-quality brand. The instructions here are for sencha, or the most basic kind of green tea. If you're branching out and making gyokuro, matcha, or genmaicha, the instructions and amounts will vary. Personally, I love genmaicha almost as much as sencha because it's the most idiot-proof of all green teas. The addition of brown rice gives it a nutty flavor and disguises the fact that you might occasionally have steeped it too long. You really need to have water where impurities have been removed. Too much chlorine or water with really heavy minerals will impede the flavor of your tea. 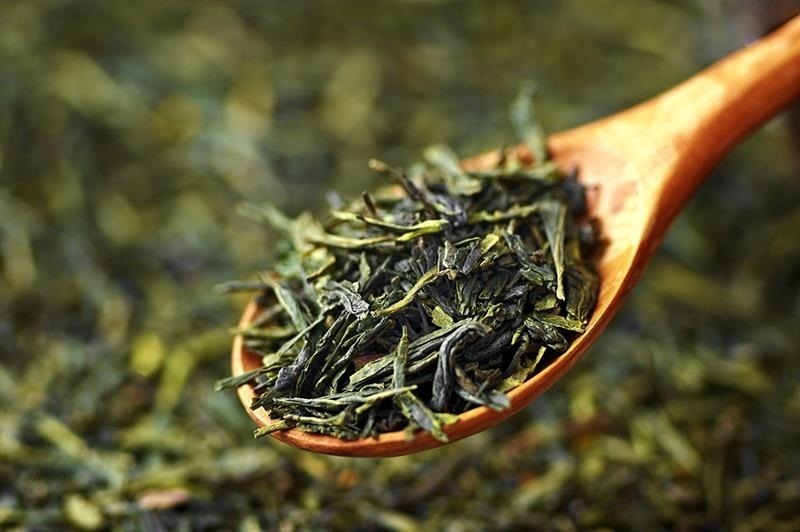 Green tea shouldn't be steeped in boiling water, which will give the brew a bitter quality. The general recommendation is 179ºF or 79ºC. If you have an electric kettle with temperature control, you're set. Some people are such sticklers they use a thermometer if they're boiling water on the stovetop, but I just bring water to a boil, then remove the water from heat and wait thirty to sixty seconds. Sometimes if I've lost track of time, I do a quick touch test. 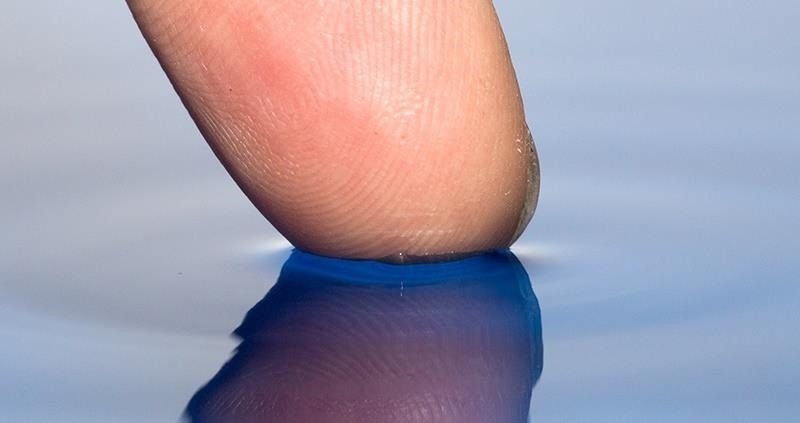 If I can get my fingertip near the surface of the water but it's still too hot to dip it in, it's the right temperature. I recommend not using a microwave to boil water. In my opinion, it makes the tea taste flat. Plus, microwaves can actually superheat water beyond the boiling point. The only problem is, this water doesn't bubble the way boiling water on the stovetop does, so you can't tell what temperature it is. Superheating water is a rarity, but it does happen—and it can be dangerous. 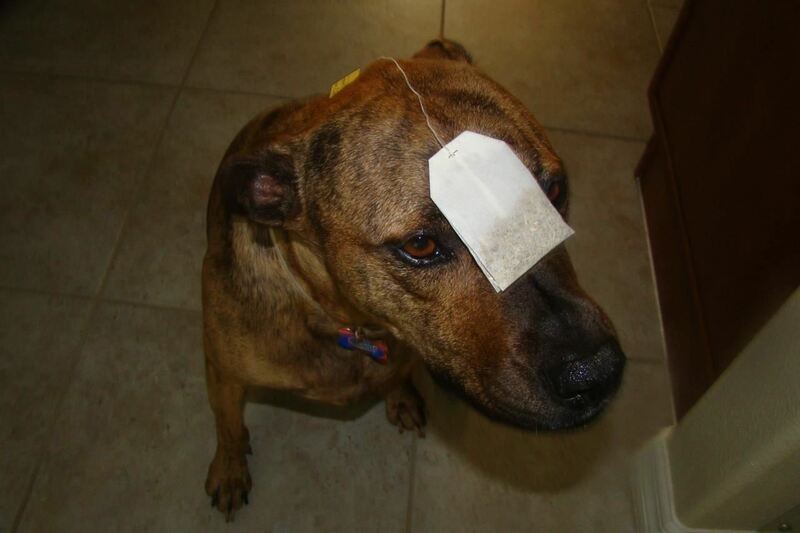 For one tea bag, estimate about eight ounces of water. For loose leaf tea, use about one teaspoon per eight to ten ounces. 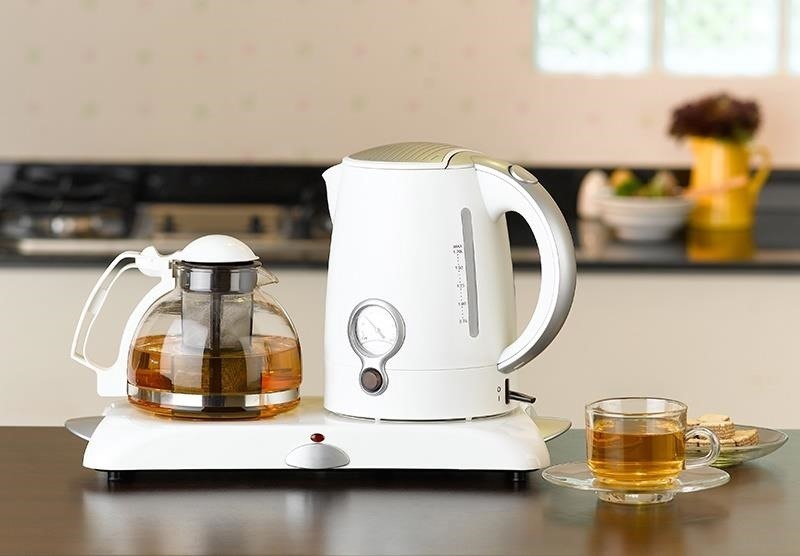 Brew for no longer than one minute (two at most), and only brew as much as you can drink, since green tea is best when it's fresh. 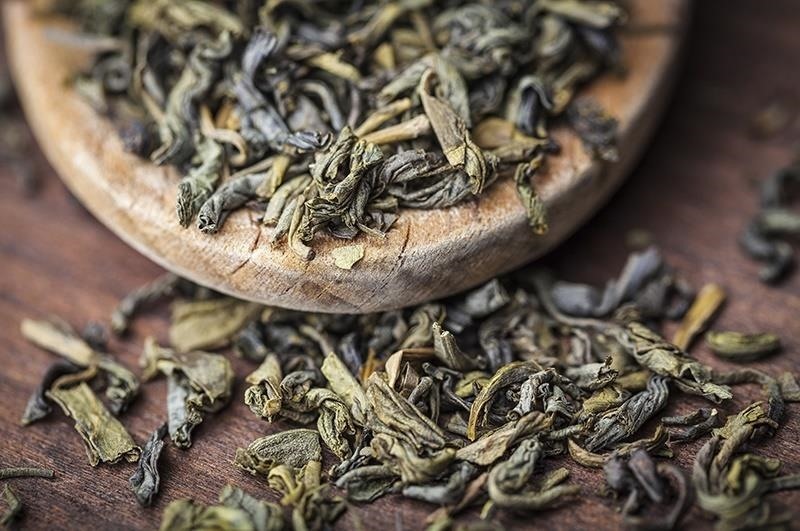 The brewing time is up for debate, since researchers believe that using boiling water and steeping green tea for longer than normally recommended (3 to 5 minutes) will create more polyphenols, but it will also increase the tannic, or mouth-puckering astringent effect. After all, there doesn't seem to be much point in creating a bitter-tasting cup and making yourself drink it just because it's good for you. Life should be about pleasure as well as health. Create a good-tasting cup of green tea and you'll want to drink some every day, which will encourage good health in the long run. 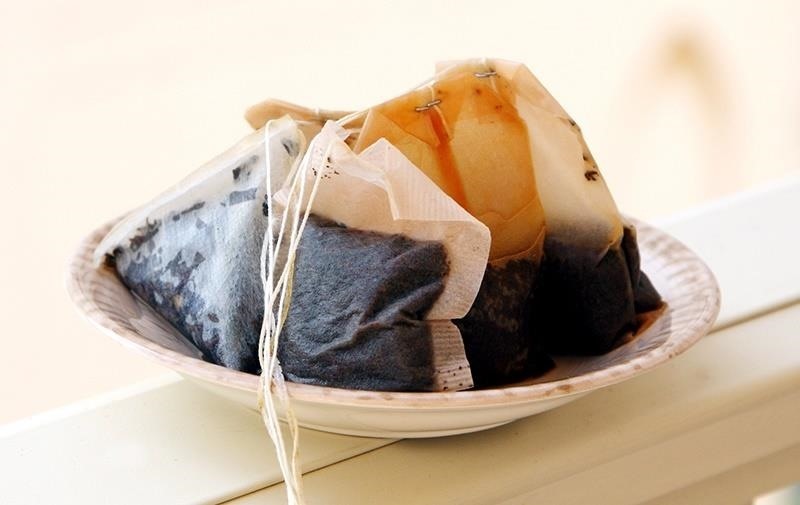 Remember that you can reuse tea leaves and tea bags at least twice. Some people use them three times, but I usually find the third brewing is a little too flavorless for my tastes. Green Tea Isn't Just for Drinking Either! So now you know how amazing green tea can be for your health when you drink it regularly, but did you know it's also great for your skin, hair, carpets, and hardwood floors, too? If you've made too much green tea or you have expired green tea bags and leaves, you can find multiple uses for them. Brewed green tea makes a great facial toner. You can make it ahead of time, or you can just set a little aside when you make your usual cup and dip cotton pads in it for an easy facial toner. Rubbing a used green tea bag on your face works, too. You can also use leftover green tea to cleanse an oily scalp by pouring it over your head in the shower or over the kitchen sink. Remember to get the liquid as close to the skin as possible and then let it sit for one or two minutes. Your hair will be super-shiny afterward since the tea will remove any shampoo or styling product build-up and your scalp will feel extremely clean. I brew pots of stale green tea leaves to use as a makeup and sunscreen remover. Once the tea cools down a little, I dip a washcloth in the still-warm liquid and then use it to wipe off my face, hands, and neck. The astringent quality of the tea is great at removing oils and makeup residue, while the washcloth provides exfoliation. Brewed tea bags are great for treating undereye circles. 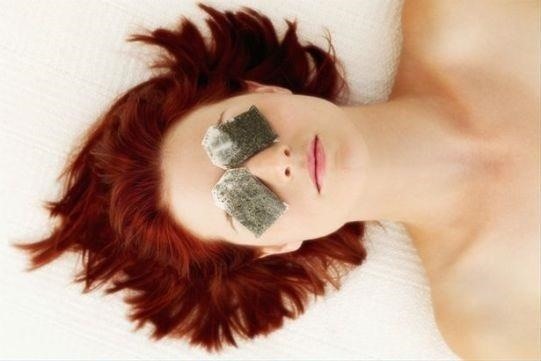 Simply save your used tea bags and place them over your eyes for five to ten minutes while you lie down, or you can dip cotton pads in brewed green tea and use them the same way. I often use green tea to clean up minor skin wounds, whether it's a scraped knee or a few nicks and cuts on my fingers. I've also discovered that green tea works great to keep your dog or cat's ears clean—the aforementioned astringent quality keeps the wax away for days at a time. Skin seems to heal more quickly once I've treated it with green tea (and that's true for both me and my dog). Leftover green tea (with no sweeteners or other additives) and old tea leaves are wonderful for your plants or garden. You can add the tea leaves to the top soil and they'll provide extra nutrients (old coffee grounds work, too). 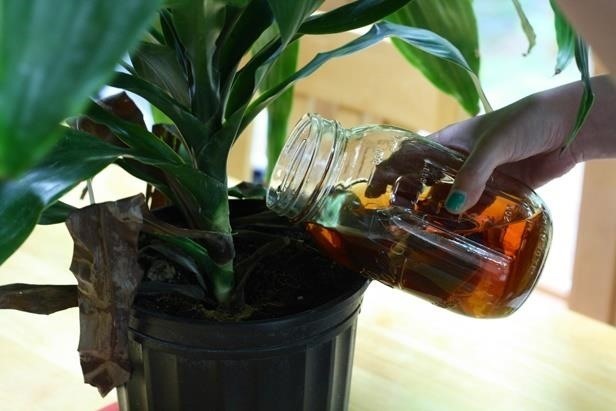 One caveat: if you are watering plants with green tea, dilute the tea with an equal amount of water. Some theorize that while the antioxidants in the tea are beneficial to growing plants, there can be too much of a good thing. That astringent quality of green tea makes it a natural to clean up greasy mirrors and windows or anything that has smudges or fingerprints. 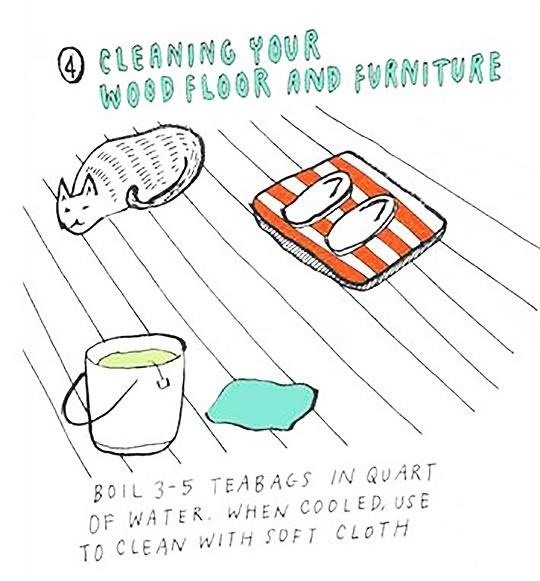 Green or black tea is terrific when used to mop hardwood floors or clean wooden furniture. (I usually use about two teabags per gallon of water and steep for a long time.) Just be sure to do a patch test on an innocuous spot first to make sure it won't strip the finish—better to be safe than sorry. Green tea leaves are also great at absorbing smells. Sprinkle the dried tea leaves on an old or musty carpet, let sit for twenty minutes, then vacuum them up. Some people also use the used, dried leaves in the refrigerator or closets to absorb odors. 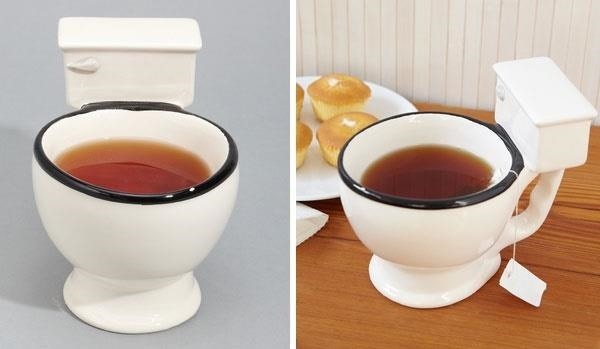 I haven't tried this one myself, but many people say used tea bags will get rid of the stains at the bottom of the toilet bowl. Throw two or three tea bags down there, let them sit for twenty minutes (or longer, depending on how severe the staining is is), and then flush. Ostensibly, the stains will get flushed away with the tea bags. The amount of useful non-drinking uses for green tea is practically endless. There's so much more to say than just what I've covered above. It's also good for smelly feet, poison ivy relief, and more. 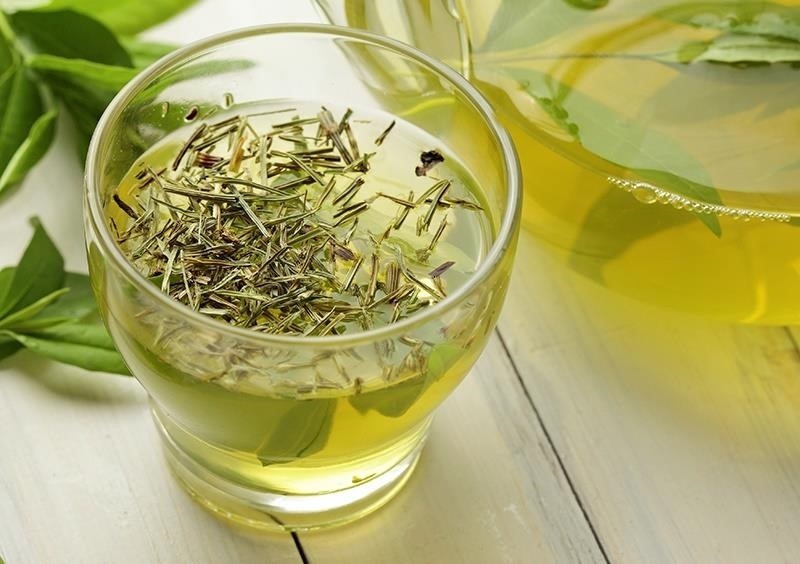 What other uses have you found for green tea in your home or for yourself? Grassy green tea, loose leaf tea, genmaicha and sencha, Matcha, gyokuro, electric kettle, finger test, tea spoon, steeping bag, used teabags via Shutterstock, Tea dog via Food on My Dog, Toilet mug via Foodbeast, Tea toner via Jennie Fresa, Tea eyes via Feminiya, Watering plants via DIY Network, Toilet mug 2 via Collections Etc. But you don't say HOW to apply it to your dog's ears. Well, you'd apply it the way you would any liquid: put the tea on a cotton ball, cotton swab, or clean washcloth and wipe out your dog's ears. Kind of a no-brainer, really. 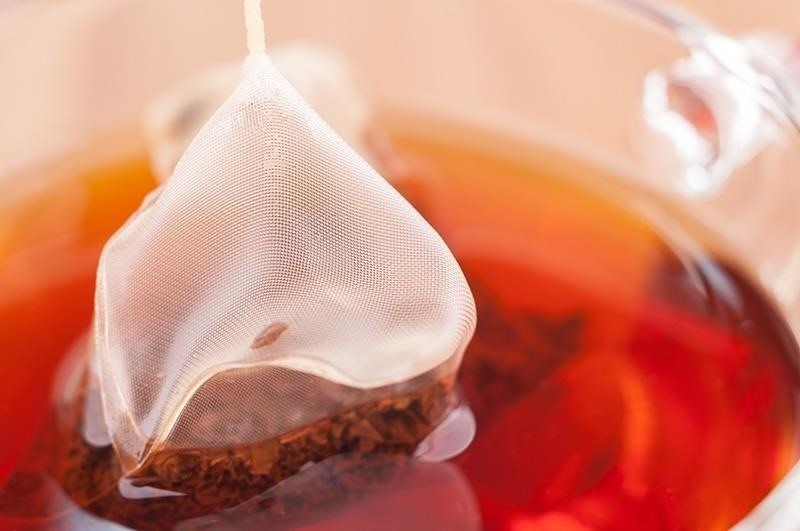 If you used a tea bag to brew the tea, use that once it's cooled down. Thank you for this article. We drink lots of green tea in Hawai'i. I guess because of the Japanese influence. Now that I am in America I still do. Glad to see some people recognize health benefits that the Asians do.